Your Aquatic Authority for Commercial Swimming Pool Equipment and Supplies! Your Pool Will Never Be The Same! Use this dynamic order feature that allows you to quickly place your order with us. All you need is the product numbers and quantities for the items you need to order. 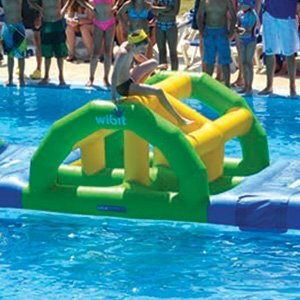 Recreonics is the US Distributor for Wibit Commercial Pool Inflatables. The German watersports company Wibit Sports GmbH has been producing inflatable water sports products for over 20 years. Distributed in over 70 countries worldwide, Wibit believes people everywhere should experience the excitement of play on the water!